For me, this was an assured debut that I devoured but did not want to end. Our narrator, Eddie, is in his early-40s and he lives in his childhood home, teaching in his old high school. One day he receives a drawing of a stick man in the post and it sparks memories of a childhood game he and his friends used to play. Told in two different time-frames, this really is a compelling read. We jump from the present (2016) to thirty years earlier when Eddie and his friends are on the cusp of adolescence. It’s a very different time, and one which will only be familiar to some readers from Stephen King’s ‘The Body’ and the Netflix show ‘Stranger Things’. Eddie’s group of friends share a lot, but they all have their secrets. 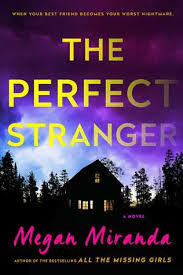 The key secret that the novel focuses on is the murder and dismemberment of a teenage girl in 1986. The group are involved as they find the body having been led there by chalk drawings. We’re never certain if they know more than that, and what quickly becomes apparent is that in this town there’s a lot of people with things they’d rather others didn’t know. I particularly liked the way the shifting perspective meant we could never be certain what revelations were relevant and how, and the nod to King is evident in so many ways (not least with the teacher being called Halloran). The style of writing was one I found hard to put down. It was very easy to picture this as a film, and seeing the viewpoint of both child and adult narrator added a complexity to this that I found hard to resist. All in all, a wonderful read for the start of the new year and one I’d highly recommend. The rules of Aiden Bishop’s incarceration are simple. 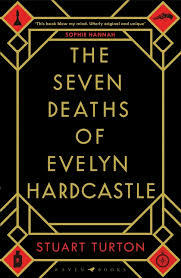 Every night at 11.00pm Evelyn Hardcastle will be killed. You have eight hosts, from whose perspective you will see the day re-run, and eight days in which to solve the murder. Once you reveal the name of Evelyn’s murderer you’re free to leave Blackheath. That is all you are told before starting, so there’s enough to pique your interest but you’re left alone to find out the extent to which Aiden is manipulated through the course of the day. There was a wonderful cast of characters in this. As we follow Aiden through his time, and start to learn a little of what he is required to do, we really get under the skin of these people. Not all of them were pleasant, but there was something compelling about seeing events through the different perspectives. For me, the appeal was the twisting structure of this. I’ll admit it required focus on occasion to try and draw events together, and to keep track of the bodies into which Aiden was thrown. However, for a devoted fan of Quantum Leap this was like pulling on a cosy jumper and being let loose in a familiar setting. I couldn’t trust anyone, and I even doubted Aiden’s sanity at times. The linking of this event to a murder many years previously was a master stroke, though it does make sense once we’re in possession of some key details. Hugely entertaining, and an intriguing idea (which you’ll be desperate to talk about once someone’s read it) that deserves to become a book to be talked about. Thank you NetGalley for the advance copy in exchange for my review. Daisy Wells and Hazel Wong return…and I can’t fault it. 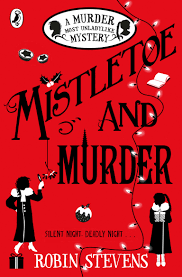 I’ve got rather a soft spot for these two, and i’m pleased to say that Mistletoe and Murder offers more of what I love about this series. This time the girls go to spend Christmas with Daisy’s brother, Bertie. Unfortunately, the girls’ habit for getting involved in murder and mayhem continues apace as they find themselves embroiled in another investigation. The relationship between the two is somewhat akin to Holmes and Watson, and there’s a certain charm in the recreation of 1930’s Cambridge. I also admit to having a bit of a soft spot for the Christmas setting which creates a fairly cosy feel for a book involving a number of deaths. In case you hadn’t grasped this yet, I love these books and this is yet another great addition to the series. I liked the involvement of our second Society, though I fear Alex and George’s involvement is going to cause issues later. This was an interesting format-told through transcripts from court. 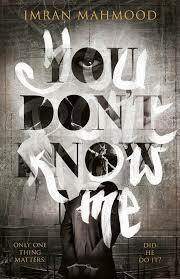 We focus on our unnamed narrator, who is on trial for murder, and who gets to tell his story in his own words. 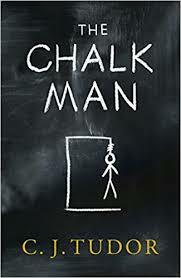 This created a rather claustrophobic atmosphere, and though you wanted the narrator to stop talking at times – you can picture just how well some of the information given would have gone down – I admired the voice and the insight he tried to give into his existence. Part of me expected a straightforward retelling of a story with a final focus on the decision. While we were given a story, it didn’t quite go as expected. The actual telling of the story building up to the shooting for which he is in court meanders all over the place. We twist and turn as details are passed over because they don’t quite fit at this moment, and we have to trust our narrator knows what he’s doing. Given his position, it does make it hard to decide to what extent we’re getting a brave attempt to recreate his life for us, and how much we’re listening to the delusions of someone trying to escape justice. The voice of the narrator is, sadly I think, representative of many young black men in court. Much is made of the advice he is given to ‘play the jury’ and to present himself in the best light possible. Does the truth matter? Our narrator thinks so, even if it doesn’t present him in the most favourable light. He is keen to stress that those judging him don’t know the reality of his life and are judging stereotypes. The story unfolds quite slowly, but it worked. We learn what our narrator tells us about the events he is caught up in. Did he shoot the man? It almost doesn’t matter, as we’re so focused on his account of what he recalls. What I was frustrated by was the sense of inevitability to his experience. I would like to thank NetGalley and publishers Michael Joseph for the opportunity to read this in exchange for my honest review. This must have been a difficult book to write, and early reviews strongly suggest just how hard it is to live up to a great debut. While it was not as instantly appealing as All the Missing Girls, I enjoyed this thoroughly. In this story we focus on Leah, a journalist, who has taken up a new career as a teacher. After fabricating a source on a big news story (or so people think) Leah is forced out of her job and is definitely struggling to reconcile her need to get to the truth of the story and see justice done with her ability to live her life. Alongside Leah’s story we watch an unfolding murder investigation that may or may not be linked to Leah’s roommate, who may or may not exist. The opening of the story was odd in mood, and it did take a while to really start piecing ideas together. However, as we learn more about the characters and their roles I was furiously trying to work out which twists were important. For me this only really came together once I’d finished it, but it’s an intriguing idea and one that is rather unsettling. You don’t have to have read The Teacher before you read this, but it would definitely help – if only to understand a little the rather odd dynamic in the relationship of Miles and Grey, and the very graphic violence featured unrelentingly. An undercover cop (Bridget) escapes when the other prostitutes in her house are killed. Someone is onto her…Imogen Grey becomes entangled in this case, and it quickly becomes apparent that there’s links to what happened to Grey a couple of years ago. We jump timeframes a lot – and, on occasion, I found myself having to check where we were – but this was, for me, one of the most compelling parts of the book. As we slowly come to work out the links between the characters, and see that sometimes the bad guy can be right under your nose, I was desperate to work out just how things would connect. The end, which suggests we could be in for another story following Adrian’s attempt to bring down his ex-wife’s new partner, both frustrated and excited me. A departure from my normal reading, and not a genre I’m totally at ease with because of the seemingly increasing need to torture characters in increasingly violent ways. However, here it is evident that the details do shed light on the characters and the set-up we are being asked to witness. Thanks to NetGalley for providing me with an ARC in return for my review. In this third outing of the Detective Agency, we are in for a real treat as we journey with Hazel and Daisy on The Orient Express. They are under strict instructions to do absolutely no detective work whatsoever…thank goodness they don’t do as they’re told. As a younger reader I would have loved to have read about the adventures of these two. They are rather old-fashioned (the 1930s setting makes their behaviour/scenarios feasible) but their camaraderie is reminiscent of Holmes and Watson, though the drugs are replaced with cakes and crossword puzzles! 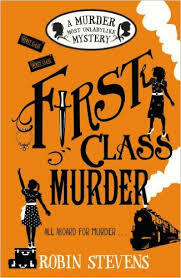 Within hours of Hazel and Daisy getting on board the train we’ve been introduced to our ragtag bunch of characters, who become suspects in this third case for the girls. We have a spoilt heiress; a rude husband; a penniless relative who writes murder mysteries; a Russian Countess and a magician. When Mrs Daunt is found in a locked room with her throat cut we immediately have a reason to mistrust every character we’ve come across, and it’s over to the girls to work out who did it and why. Great fun, raising awareness of some bigger issues and, hopefully, arousing curiosity in its readers to learn more of the time/events referred to. Seventeen year old Cassie has a special talent for reading people. She has never thought it a particular skill, until the FBI come calling with the revelation that they are setting up a group to help profile cold cases – a group of teenagers with very unique skills. 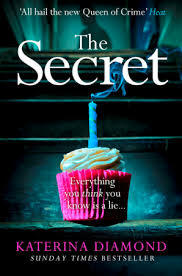 Cassie has never really got over the death of her mother, and she is convinced that involvement in this process will allow her to gather clues as to the identity of her mother’s killer. It soon becomes clear that nobody in this program is quite what they seem, and when we receive information about a new killer it seems that this one might be closer to Cassie than was previously thought. 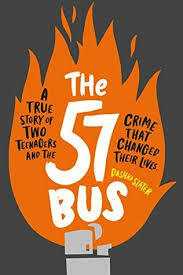 Admittedly the idea is quite preposterous, but it was highly engaging and has appealed to teen readers – both boys and girls – in school. Having already been caught up in some rather uncomfortable events, the Naturals hope to be focusing on cold cases. The teenagers are left reeling after the events of the first book, and it’s hardly surprising that they are worried about Locke’s replacement. Agent Veronica Sterling is Briggs’s ex-wife and the FBI Director’s daughter. She was also one of Daniel Redding’s intended victims, and has a close relationship with Dean. From the off, she’s an intriguing character and her presence brings a little more to the characters. This story focuses on a killer who seems to be copying Redding’s MO. The intercutting of the killer’s thoughts is quite unsettling, but this was a cracker of a story. There was, for my liking, just a little too much angst over Cassie’s dilemma regarding whether she fancies Dean or Michael more. It was a bit of a distraction, but I suppose it made her seem a little more human. Cassie and the other Naturals are called to Las Vegas after three bodies are discovered on three consecutive days. Initially thought to be accidental deaths, with the different killing methods it soon becomes evident that this bears the marks of a serial killer. I loved how we got to learn a little more about Sloane and her background, and the other Naturals are developed clearly. Cassie is also dealing with issues arising from her past, but the group worked so well together as they tried to get to the bottom of this. In a development from the earlier books we are told that these killings are linked to many others, and that a shadowy cult may well have a bigger part to play in this than anyone realised. The story was well-plotted and I really was gripped as we started to get more background to the events. I’m just desperate to find out what happens in ‘Bad Blood’. Cassie’s journey with the FBI Naturals program is drawing to a close and, in this finale, we watch as Cassie and her companions try to work out exactly what is going on. 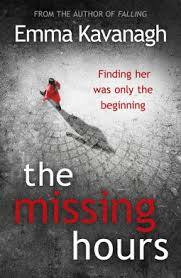 Everything Cassie thought she knew about her mother’s disappearance is being called into question. There’s an awful lot going on behind the scenes, and it’s all too apparent that the Naturals themselves are being hunted. We are led down one or two garden paths here-quite literally. Following their discovery that the deadly killer Nightshade is linked to the group known as the Masters, Cassie becomes convinced that this case could well be linked to her mother’s disappearance. There remains a fascinating insight into the procedure of profiling, and the psychology behind a killer. What I particularly liked in this novel was the growing understanding that we see Cassie coming to of herself and her situation. While the story itself reached what could be deemed a satisfying conclusion in many ways, I was totally unprepared for the shocks we were given regarding one or two characters. These revelations cast into doubt a lot of what had come beforehand, and lent a somewhat more creepy air to the earlier novels in the series. My main gripe with this was that certain characters, who I’d come to have more than a little soft spot for, were slightly more in the background than I’d have expected. I also can’t help but wonder whether Barnes will be tempted to add to this series as we watch characters such as Laurel develop. All in all this series was a surprise hit for me – and one that I wish had been around when I was younger.